Don’t you just love it when you can almost smell spring gently unfolding its leaves? The birds sound merrier, people are sprucing up their terraces and it’s time to go outside again. Discover green oases in and around the city centre, each with their own unique charm. Together with your family, hand in hand on a romantic stroll or during your well-earned me-time. Free, instant happiness. How unique is this, an open-air museum where you can zig-zag through 100 years of sculpture on your bike? Have a picnic on a grassy knoll next to a Rodin or Panamarenko or enjoy a snooze while the sun tickles your nose. Your kids can horse around, you can play a game of badminton or jog among the sculptures. Middelheim Park: where art blends in with nature and vice versa. Antwerp’s largest park is just a stone’s throw from the busy city centre. Rivierenhof offers 130 hectares of parkland, where you bike, jog and enjoy the magic of nature. Take your children to the petting zoo or treat them to tea on the terrace of the majestic castle. Or pop into Bar Stark for a cup of java in this cosy sun-drenched coffee bar. During the summer months, you can even score tickets for one of the concerts in the open-air theatre. The Botanical Garden is one of the city centre’s hidden gems. This stunning garden has plenty of unique trees and shrubs, medicinal herbs and a greenhouse with exotic species and cacti. Paths wind their way through the flowers and plants. Sit down on one of the benches or lay down in the grass with a good book. The pond and mini waterfall are the perfect backdrop for a green break in the city. Antwerp’s Central Park is located near the shopping streets and the city centre. This triangular English landscape park is a great place for a jog, but it also has a playground, a skate park and plenty of picnic spots. Stroll over the wooden hanging bridge and spot the many bunnies in the grass. 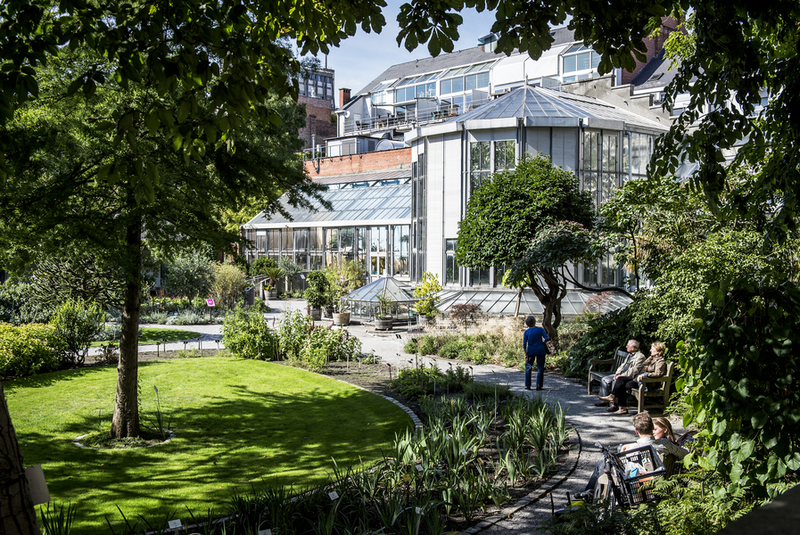 The park borders on Antwerp’s Jewish district and is just as diverse as Antwerp. Park Spoor Noord was built in an old railway marshalling yard. This landscape park is very popular with the locals. Get rid of some energy at the ping pong tables or bring your own frisbee or badminton rackets. The park also has a spectacular skate bowl for skaters and BMX fans. Head over to the summer bar if you prefer a more laidback vibe. Your kids will have the time of their lives in the fountains as you relax in your beach chair.